The consulting firm of DLB Associates, LLC provides affordable business and project management consulting services. Our primary goal is helping companies achieve “world-class” proficiency in the delivery of their products and services by improving time-to-market, cost-to-market, and quality-to-market performance enterprise-wide through implementation of project management best practices. The expertise and experience of DLB Associates, LLC has helped many organizations achieve their strategic goals and objectives by effectively establishing modern project management practices to manage both large programs and short term projects. 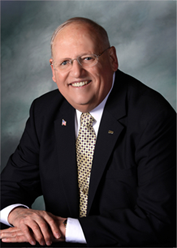 Dennis Bolles, PMP, President – DLB Associates, LLC, has over forty-five years of experience in multiple industries providing business and project management professional services. He assists organizations, as a Project Business Management Organization (PBMO) Subject Matter Expert (SME) advisor, to achieve their business strategic objectives with the analysis of their business process improvement needs and development of business and project management capabilities. He has been a member of the Project Management Institute (PMI) since 1985, received his PMP® certification in 1986 (#81), and is a founding member of the PMI Western Michigan Chapter, serving on its Board of Directors in several positions since its 1993 inception. Mr. Bolles served as the PMI Standards Project Manager who led the project core team to a successful completion and on-time delivery of the Project Management Body of Knowledge (PMBOK®) Guide Third Edition in 2004. He has served on and has contributed to multiple PMI Standards bodies over the past 20 years.